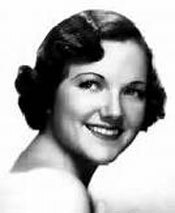 At the beginning of her career, Lois was a featured singer in the famous Rainbow Room in New York. She also appeared in many of the top nightclubs and cabaret rooms. In radio she appeared for four years on “Reveille Sweetheart” for CBS then two years on Mutual in “January’s Calendar”. 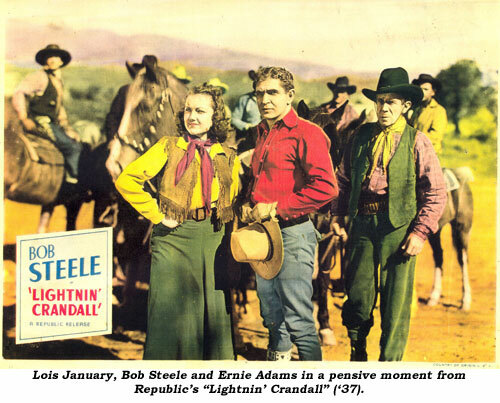 She was also host Jack Bailey’s assistant on CBS’ “County Fair” (1945-1950). 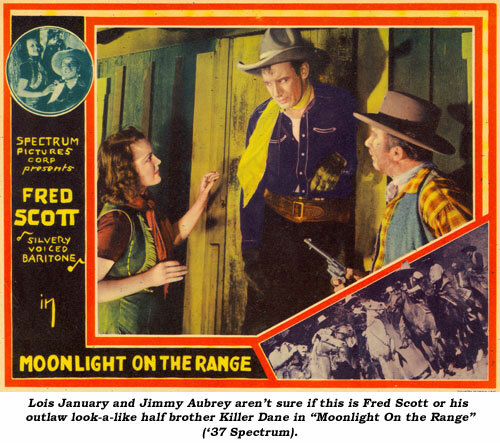 When comparing one studio with another, Lois emphatically states, “They’re all the same—they all go to the same locations. 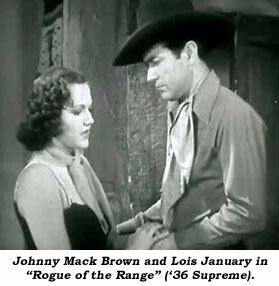 I couldn’t tell which studio I was at.” The biggest studio to make a “B” Western with Lois was Universal with “Courage of the West” (‘37) starring Bob Baker. 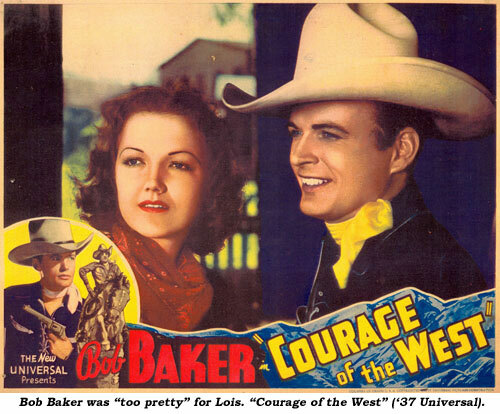 “Bob Baker was too pretty! He was nice, but didn’t get friendly. He didn’t want me to sing a song in his picture. That business is full of jealousy. It is an egotistical business; you have to have a pretty steady character to overcome it. I later got into metaphysics and philosophy.” With a doctorate in Metaphysics, she had her own cable TV show, “Take 5 With Lois January” using her book of the same title for rhe show which was seen on a variety of cable outlets in southern California. 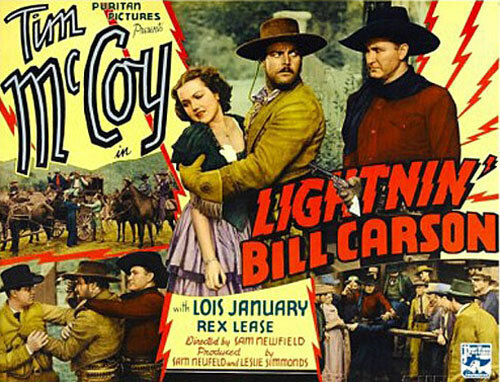 At 93, Lois January died August 7, 2006 in L.A.
Movies: Arizona Badman (1935 Kent)—Reb Russell; Skull and Crown (1935 Reliable)—Regis Toomey; Border Caballero (1936 Puritan)—Tim McCoy; Lightnin’ Bill Carson (1936 Puritan)—Tim McCoy; Rogue of the Range (1936 Supreme)—Johnny Mack Brown; Lightnin’ Crandall (1937 Republic)—Bob Steele; Bar Z Badmen (1937 Supreme)—Johnny Mack Brown; Trusted Outlaw (1937 Republic)—Bob Steele; Red Rope (1937 Republic)—Bob Steele; Courage of the West (1937 Universal)—Bob Baker; Moonlight On the Range (1937 Spectrum)—Fred Scott; The Roaming Cowboy (1937 Spectrum)—Fred Scott.